Las Vegas, NV (April 11, 2018) – Morse Watchmans, the industry leader in key control and key management systems, is showcasing their KeyWatcher® Touch complete key management system at ISC West 2018 (booth #12109) in Las Vegas. 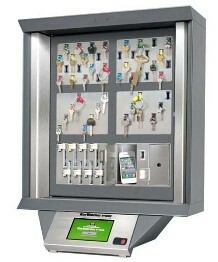 KeyWatcher Touch utilizes a touch screen and Morse Watchmans’ patented SmartKey system with KeyAnywhere technology, making it simple to return a key to any key cabinet in an enterprise. Recent updates include a new database design, a desktop fingerprint reader that allows users to enroll fingerprints through TrueTouch software, and the ability to utilize multiple KeyWatcher Touch server instances with a single SQL database.